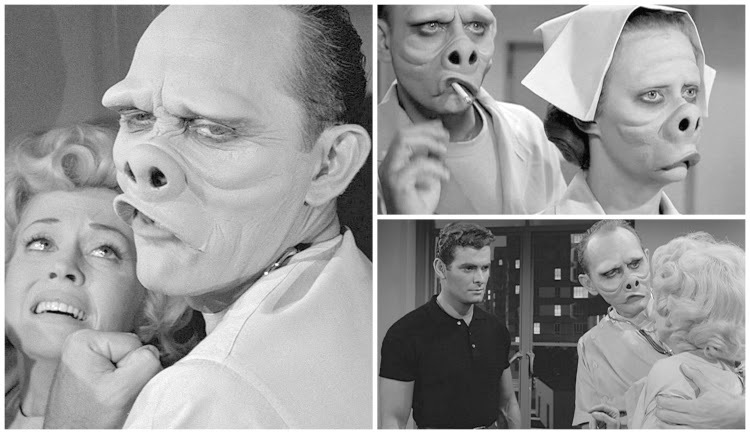 The episode, "Eye of the Beholder" first aired in 1960. Rod Serling introduces us to Janet Tyler who is all bandaged and informs us that we will learn why she is in that state as the episode progresses. What enfolds is ultimately shocking and yet teaches us the deeper meaning of the saying, "beauty is in the eye of the beholder". The episode is shrouding in mystery with shadow figures and you can hear seemingly "normal" sounding voices. All the doctors and nurses seem to genuinely care for the welfare and wellbeing of Ms. Tyler who seems worried that the results from her surgery may not turn out as she hopes. And hopes she does with all her might. As the camera follows the doctors from the behind we see body after body covered in uniforms but we are never shown their faces. Why? What are they hiding or are they hiding in plain sight? We do end up seeing what is underneath Ms. Tyler's bandages and the mysterious doctors and nurses are finally unveiled. Its an unforgettable unveiling because it isn't what you expect. Remember that they have shown kindness and special care to Ms. Tyler so of course one might assume certain things about them. Truth is they are in a world where everyone is created to look the same, only their faces are contorted and in some ways scary. Ms. Tyler is also finally revealed to be blonde and looking like an Old Hollywood movie star. In this world if you cannot conform and look the same as everyone else you would then be sent to a colony where ironically all the humanoid people are known to be traditionally "beautiful". But the truth is that beauty is in the eye of the beholder This episode teaches us the valuable lesson that beauty is interpreted by the individual and the individual alone. And as Rod Serling so eloquently puts it, "Suspended in time and space for a moment, your introduction to Miss Janet Tyler, who lives in a very private world of darkness, a universe whose dimensions are the size, thickness, length of a swath of bandages that cover her face. In a moment, we'll go back into this room, and also in a moment, we'll look under those bandages, keeping in mind, of course, that we're not to be surprised by what we see, because this isn't just a hospital, and this patient 307 is not just a woman. This happens to be The Twilight Zone, and Miss Janet Tyler, with you, is about to enter it. One of my favorite Twilight Zone episodes! This episode was always inspiring and disheartening at the same time. I feel like shows and movies that try to tell us to look deeper never really stick with the general public. 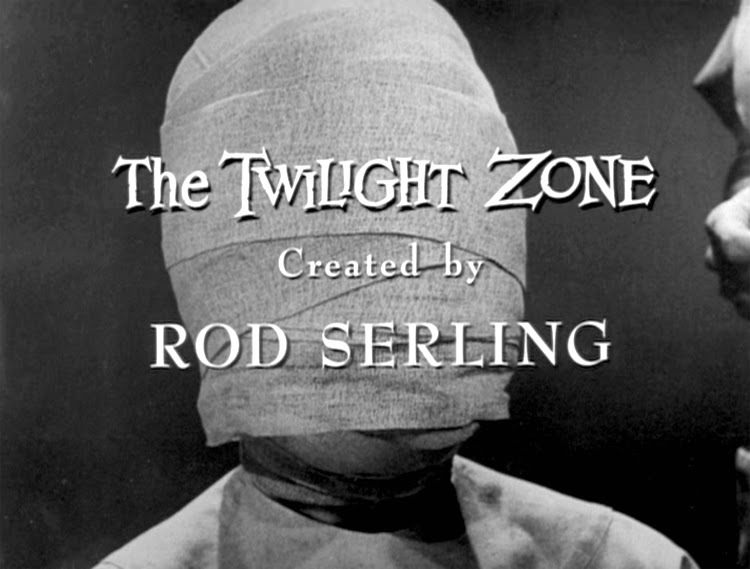 But regardless, this episode always made me love Rod Serling more.